If you’ve only played live poker before, then the concept of freerolls can be pretty surprising. No casino in their right mind would offer a free poker tournament – especially since they earn all their money from buy-ins and the rake – but online poker rooms do it every day (and sometimes several times a day). Considering the time it takes to grind your way to the top of an online freeroll, they are rarely a very profitable proposition, but there are many other reasons to try freeroll tournaments. A freeroll is an MTT with no buy-in. Most poker rooms’ daily freerolls offer open entry to all real money players, but some of the larger freerolls are used as a reward for specific players (like new members or new depositors). Even the open entry freerolls fill up fast, so many freeroll-loving players sign-up as soon as entries open. Remember that for special event freerolls like depositor tournaments your code is generally only good for one specific tournament, so if you miss that tournament you miss your chance. The most obvious advantage of freerolls is that they’re FREE, so you literally have nothing to lose. Whilemost freerolls rarely offer a top prize of more than $50, some of the largest poker rooms subsidize their weekend traffic by offering special freerolls with prize pools in the thousands. In these instances, winning a freeroll could transform your bankroll.Even the smaller freerolls offer a good value if you’re a new player in need of some cash tournament practice. Freerolls are a great way to get acquainted with the online tournament format and to get a feel for a poker room’s variety of competition. Freerolls are also a good way for players between deposits to stay in practice and still see some action. It’s hard to fault a free cash tournament, but the truth of the matter is that freerolls aren’t for everyone. Just by virtue of being free they attract huge fields – generally in the thousands – which means that if you’re serious about grinding your way to the top of the tournament you’ve got to make a major time commitment. 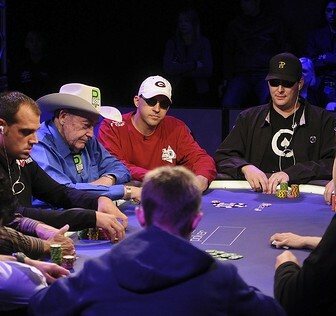 It’s not uncommon for a 4,000-player freeroll to take anywhere from 4 to 6 hours to complete, which is many times longer than most amateur players’ regular session times. That said, in the same respect these tournaments can be a good way to increase your patience and endurance if your long-term plans include larger MTTs. Even if you succeed and finish in the money, the typically small prizes don’t translate to a very high hourly profit. Bear in mind too that you won’t be earning any points while playing a freeroll, and that freerolls aren’t a perfect representation of real tournament competition since so many participants view them as a blow-off game.